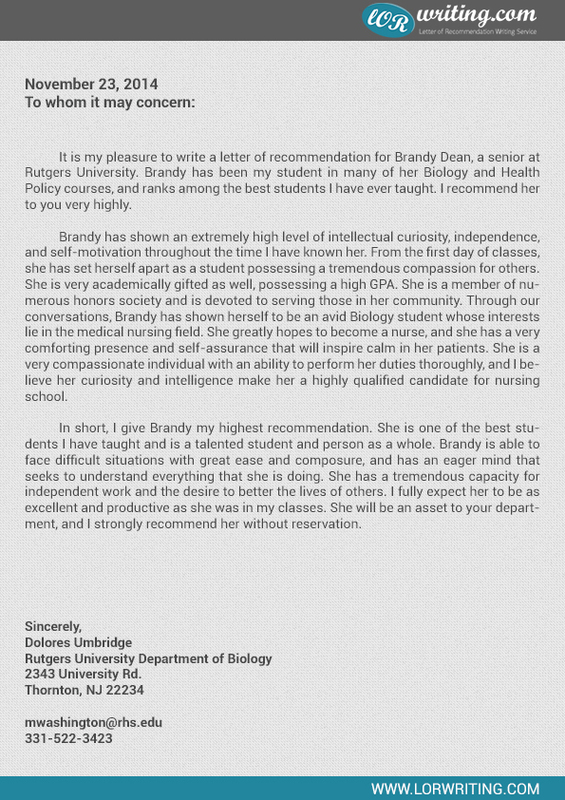 What Is a Letter of Recommendation for Nursing School? A letter of recommendation for nursing school is a formal letter that you have to submit if you are applying for a nursing position. There are also instances where a student who wants to get into an undergraduate program with nursing but have to submit letter of recommendation. What does this letter contain? It should include information that details the qualifications, attributes, and other credentials of the applicant. This letter may come from a teacher or from an individual who is from the medical industry in order to be accepted into a particular program. What is the format in writing a letter of recommendation? Although there are really no specific rules as to how you should write this kind of letter, it is very important for you to know that this is a formal letter which means that you have to follow the proper and formal format of a business letter. Who do I address this letter to? When you apply for a particular program, you need to read the complete instructions and details pertaining to the specific requirements needed. There are cases where you have the specified the recipient’s name. But if it’s not available, you can always have another formal means of salutation like using “dear sir/madam”. What specific information and details do I need to include? In a letter of recommendation, it should not be too lengthy. You should be able to put essential information that enables the reader to get to know about the qualifications, achievements, and success of the applicant. Can I be creative? In as much as you want to have a more personal touch or creative way of writing a letter of recommendation, you wouldn’t want to make it over the top. Keep in mind that this is still formal letter. How do I end the letter? Just express your motivation and your interest in their program. Be respectful and show that you are a potential candidate. The application process for nursing school can be long and arduous, with many different considerations to make and many documents to complete, and one such thing that often gets overlooked in value and importance is the recommendation letter for nursing school. Nursing school letters of recommendation are often thought of as secondary to other aspects like GPA or the entrance essay, but the fact of the matter is that these things are only so effective in differentiating students, and institutions need corroboration with outside sources to get a more insightful look at you, and that’s exactly what nursing school recommendation letters give them. First is you need to write down the data, the name of the recipient and address either on the top right or top left of the letter. Next is you have to use salutation like for instance, you should use “Dear Sir/Madam”. In the opening part of your letter, you should express your interest in the school and the program you are applying for. This is a good way to make a good first impression to the recipient as well. The next part of the letter should contain information and details of the applicant. What is his/her background? It is also important to highlight achievements and credentials. End the letter by expressing gratitude and at the same, recommending the applicant into the program. The tricky thing is that it’s difficult to guarantee that you’re going to get high-quality letters of recommendation for nursing school. If you need one for yourself you need to trust the person you ask to develop one that’s supportive and helpful, and if you need to write one for someone else then there’s a good deal of pressure on your shoulders to do a good job. Either of these situations can be difficult to deal with, but our professional nursing school letter of recommendation service is here to help! We’ve got professionals with direct and extensive experience in completing the nursing school recommendation letter, and we’ve got an unparalleled commitment to maintaining the highest standards and getting you all the help that you need! When It Comes to Recommendation Letters for Nursing School We’re Your Destination! 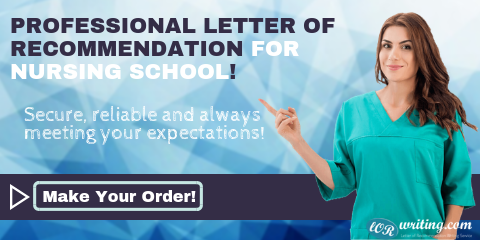 We know all the stress and pressure involved in completing a letter of recommendation for nursing school, and we know that you’ve got enough responsibilities on your plate, so why not take this one off and leave it in the hands of professionals who will do a great job and get you the letter you need just the way you need it? 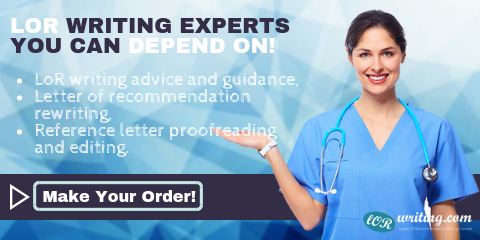 Our pros know all the tricks and techniques to crafting a letter of recommendation for nursing school that will be persuasive and effective, so let us help you today! Make your recommendation letter for nursing school winning with us!